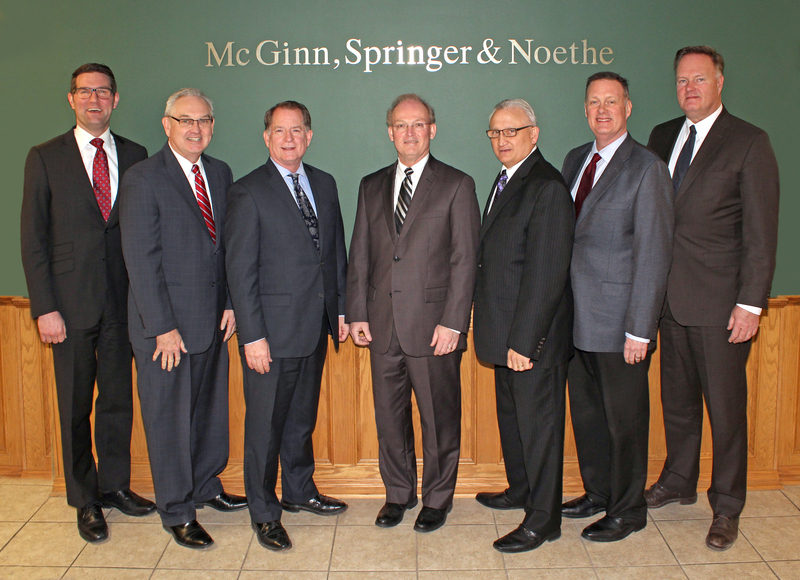 The original McGinn Law Firm was founded by Albert McGinn in 1914. In 1936 Albert’s wife, Kathleen McGinn, took the Iowa Bar Examination without ever having attended law school. She passed and was sworn in as lawyer that year. At the time she was the mother of ten children. Edmund A. McGinn, son of Albert and Kathleen, joined the law firm in 1952. He was followed by his brother , Joseph F. McGinn, in 1957. Currently, the law Firm of McGinn, Springer & Noethe P.L.C. has eight lawyers and continues the law firm’s tradition of helping the people of Southwest Iowa with their legal needs. The law firm has a broad general practice and matches its lawyers to your legal situation.